You can use any container for your Prayer Jar. 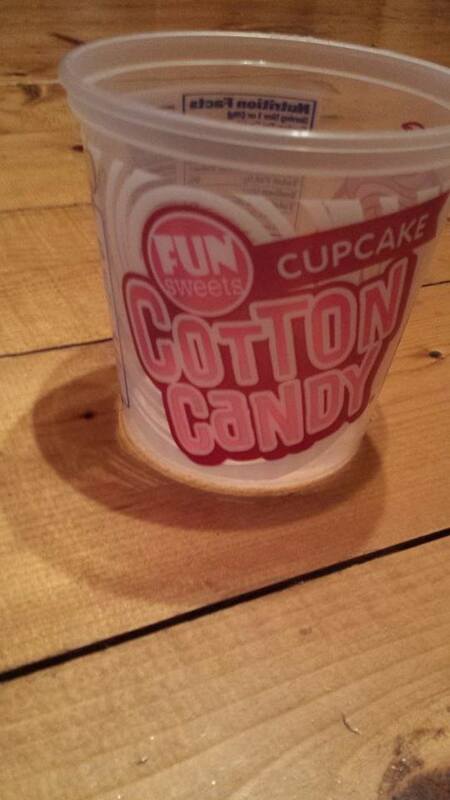 We had this cotton candy tub laying around the house and we used it at first. Take a popsicle stick and write a family member, friend or loved ones name on it. We even included the kids school friends. Before bedtime each of our children pick a stick out of the jar. 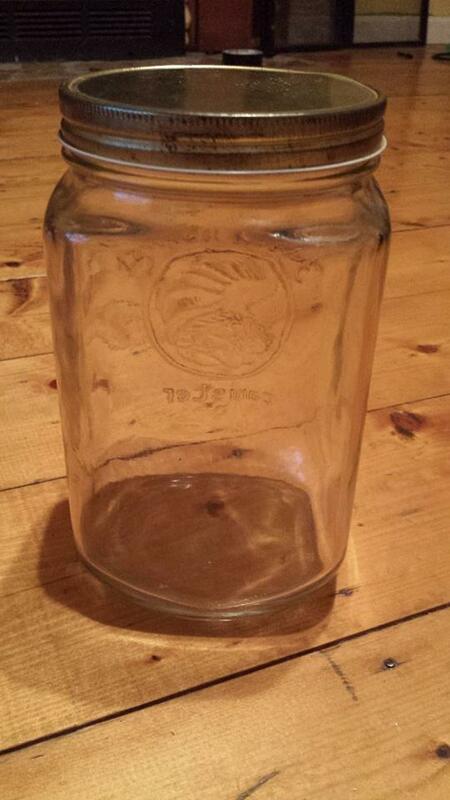 Whoever they draw out of the jar is who they pray for that night. We included their mothers and mothers family in our jar as well. This is a great way for the kids to be able to pray for everyone in their very large, blended family. Daddy usually starts the prayer out by thanking the Lord for another day. This helps ease the nervousness the kids feel when it comes to starting the prayer. They are young and are uncertain of their praying skills. The prayers they say at night have to have more thought than the prayer we say to bless our food. This adds more pressure to the kids. We want this to be a valuable experience for them. After Daddy starts the prayer the kids will go in a circle and say a small prayer for the person/people (I added some couples on the same stick) that is on their stick. After the last child prays I will then close the prayer. This is a great way for the whole family to be included in the process. This is still a learning process. There are times that the kids don’t want to participate in everything we do (hey they are children and sometimes want to do their own thing). With the Prayer jar we encourage the kids to pray even if it is just to ask the Lord to watch over and protect who is on their stick. This is a great way to help them feel more comfortable when it comes to praying. Always encourage your children to pray even if you don’t. Prayer can be a great way for kids to get things off their chest. Some things they may not feel comfortable telling you or other people in their lives. Why not let them take their problems to the main person who can fix them? 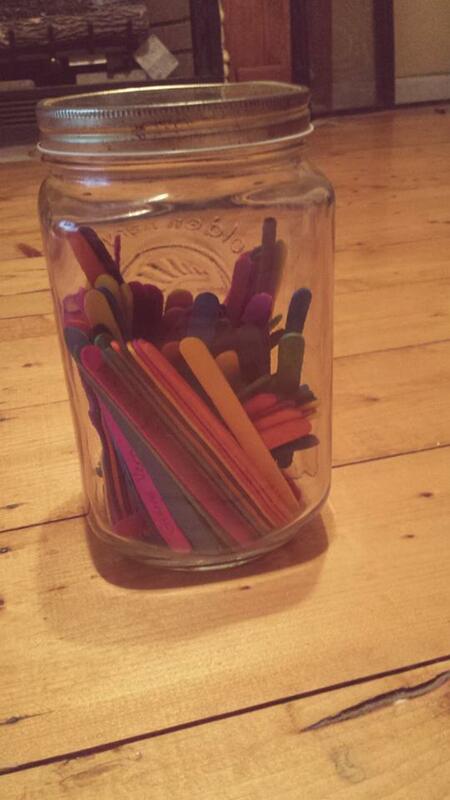 With that being said…give the Prayer Jar a try and put your own spin on it! Let me know how it goes for your family!